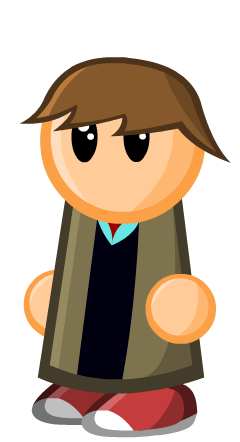 This is first piece brings the return of AshiRox. AshiRox paints the picture of the game that once was. 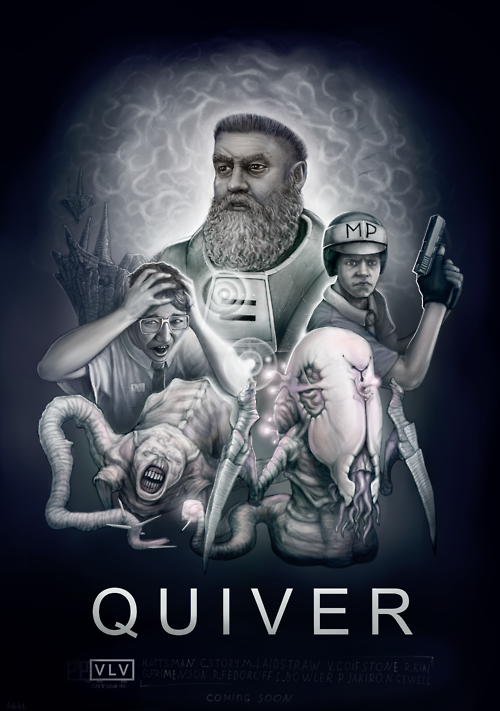 Before Half-Life was Half-Life it was Quiver (Named after the Arrowhead military base from the Stephen King novella, The Mist). This piece depicts such classic beta favorites as Mr.Friendly and Ivan the Space Biker. It’s always great to get such vivid pieces from AshiRox, check out his DeviantArt for more awesome pieces. 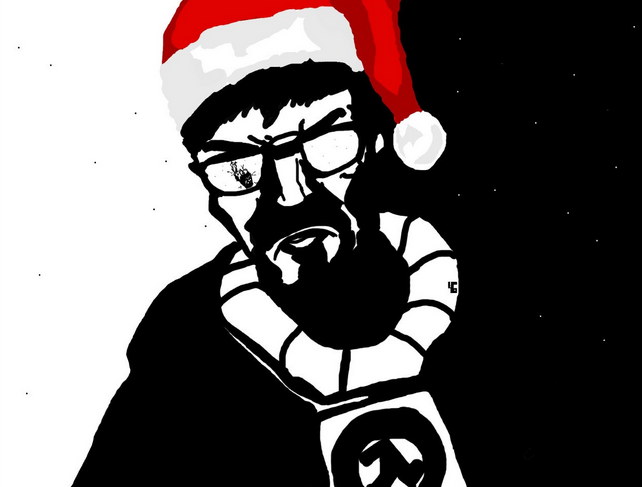 A piece contributed by PivotBot, this was created in Gimp and makes Mr. Freeman have that special kind of holiday badassery. You can check out PivotBot over at his VK account. 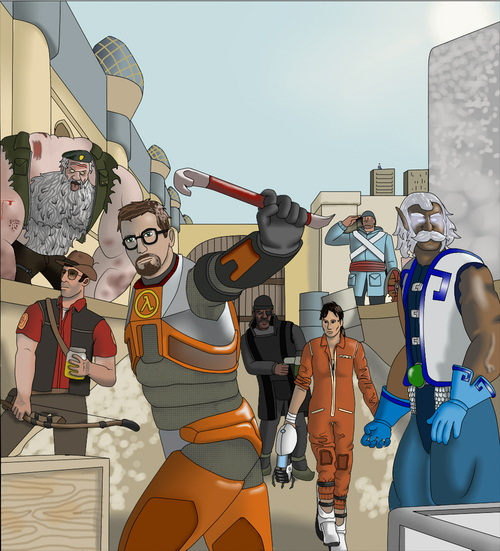 Ladies and Gentlemen… The Valvengers have assembled, created by fellow site-writer LilGreenMan who has a packed gallery of assorted Valve works including some Half-Life Fan-Fiction, that you can find on his Gallery. This is piece is by Eisen Feuer titled ‘Fire Lady’ revealing the Pyro’s deep secret to the rest of the mercs. This piece perfectly captures the TF2 art style and is quite a creative take on the Pyro gender mystery. Thanks to everyone who submitted! Please post a link to your DeviantArt or art Tumblr and give a nice description of the piece, just don’t leave the text field blank, I won’t know if you even made it! Glad that the fanart is back. That Quiver poster is terrifying though!